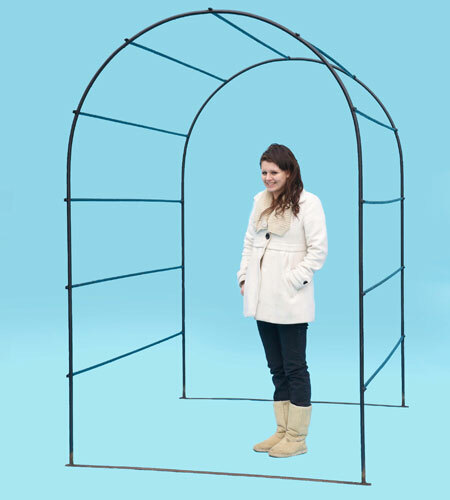 The reason we price this item like this is so extra bays can be added to enable you to create any length. Example: for an 18ft run you will need to order 3 x end with horizontal bars (£690) and one end (£90) (They simply bolt together). This tunnel arch is made with an extra 18" on the legs with plates at bottom (extra to above measurements) which need to be dug into the ground and back filled. This item can be attached to walls / buildings if required - Please contact us about this. The above price includes being painted (2 coats) of semi-black (metal) paint. For different sizes, finish etc please see our specifications page.